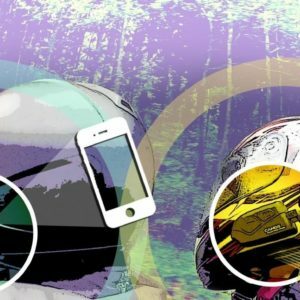 What’s the best motorcycle for a long-distance travel? 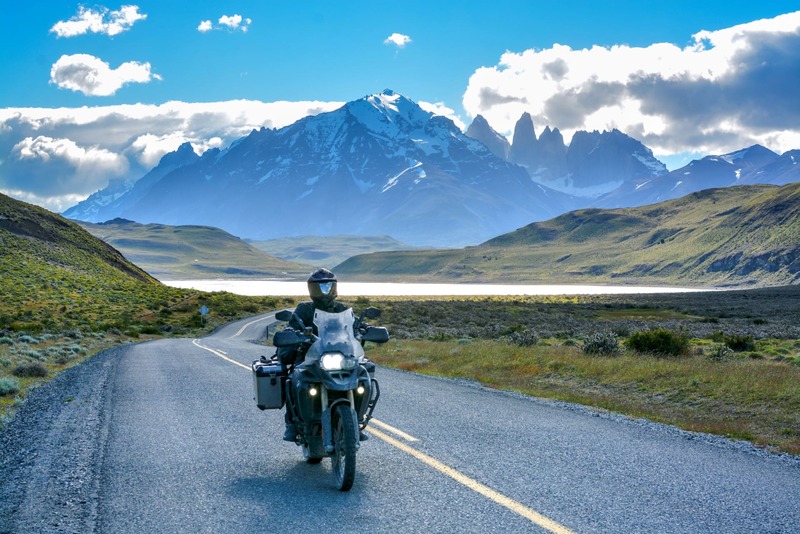 If you are reading this article, you probably already have in mind an irresistible idea of traveling the world in a way that gives you a great sense of freedom: on a motorcycle. Choosing the best steed for long journeys is not an easy task, especially if it’s going to be your first machine. 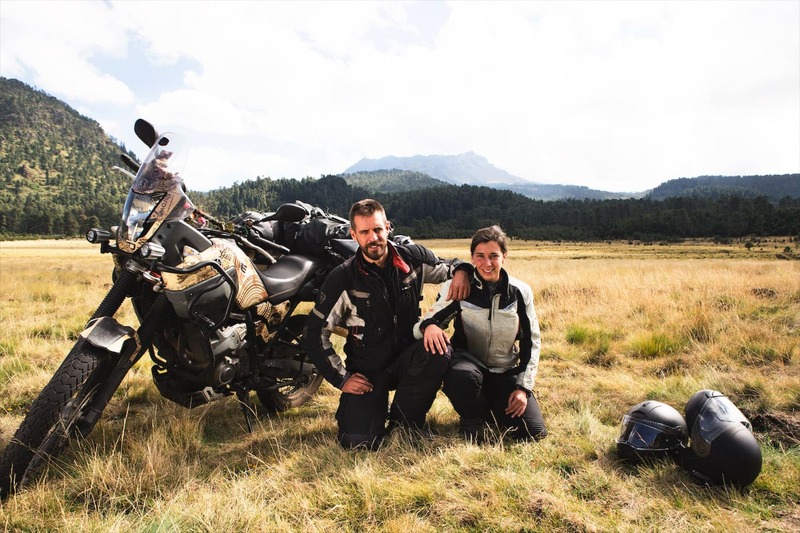 Therefore, with a great pleasure, we invite you to learn about experiences of fellow bikers who have already had a few seasons in the saddle, undertaken more than one expedition and are able to point out advantages and disadvantages of their motorcycles. Although at the end the most important will be the voice of your heart and probably the budget available, the interviews below can be very helpful for a start, and most importantly, they are honest and reliable. Below you will find valuable opinions of motorcyclists from all around the world, with whom we had a pleasure to share some miles during our journey across Americas or were connected through the Internet or other bikers. 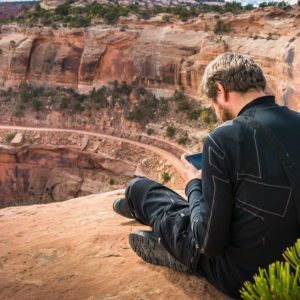 Most of them also run blogs or can be followed on social media channels where you can find more information about their adventures and used equipment, or contact them personally. We also added a comment about our own experience on BMW F 650 GS Dakar, which despite its old age has been serving us well for the last few adventurous years. Since the collection of reviewed motorcycles has ended up to be quite extensive, you can use the buttons below to easily navigate to a specific motorbike. For some models there are more than one opinion and they are placed one above the other. 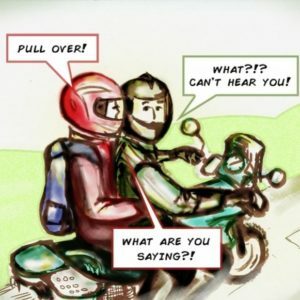 I’ve been traveling on a motorbike since my early 20s. But in the early days, I’d only travel for a month or two. I’d rent a motorbike and go absolutely crazy. I knew nothing about traveling, nothing about motorbikes, but I had a passion for both. To be honest, the most incredible adventures were results of my ignorance, like living with tribes who would find me on the road with the bike broken or being adopted by Buddhist monks when I was lost. So, what I am saying here, even if you aren’t fully prepared, just go for it. It could work out to be the best time of your life. My current trip I started in December 2015. Now I consider myself an experienced ADV traveler, but all I now know, I’ve learned a hard way. I wish I did some reading before. So good for you you’re doing it :) Although I have no regrets and even the most traumatic experiences have helped shape me into who I am and I am fine with it. So far I’ve traveled on a motorbike Indonesia, Vietnam, Burma, Thailand, Laos (rented scooter), Cuba ( rented Scooter). 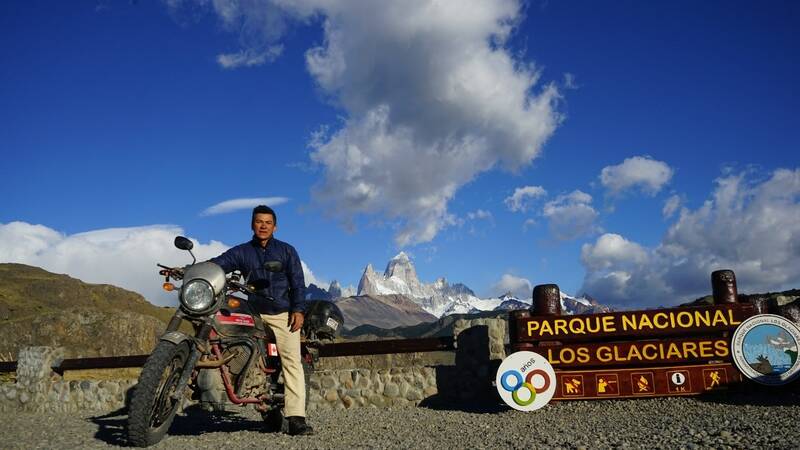 On my current bike – Chile, Argentina, Bolivia. Only 3 countries but I’ve covered over 60 000 km already. I was looking for a bike in Chile and I noticed that most of the police ride Honda Tornado’s. I thought to myself – it has to be reliable! When I started to research more and more about that model, I absolutely loved it. Originally when I set out (on this currently trip) I did a lot of traveling on a Honda XR 150, which was a sweet bike, but not powerful and would not do well in sand due to a weak clutch, off road, my new baby loves sand as much as I do. It’s cross, not enduro, but does deep sand and mud brilliantly as it’s so light. Also being made in Brazil, it’s not too hard to get good spare parts. In this part of the world (South America). It’s relatively easy to take the engine apart, change a part and put back together, which is important when you travel sola as you’re often hundreds miles away from any services or humans for that matter. What are pros and cons of Honda XR Tornado 250 in terms of long journeys? It’s very economic on the petroleum. The tank is 11,5 L and it gives me up to 250 km, depending on speed and the altitude. It’s very reliable and relatively easy to get spare parts too. It's still relatively light even with all my baggage. Therefore, I do lots of off road, even with my entire home loaded on my guy. If all you want to do is clean the carburetor or adapt it for altitude, you’ll be disappointed. You’ll have to take apart much more. The transmission wasn’t made for someone who wants to load everything they need for the next three years. So you need to always be aware of its condition and take preclusion. I like high speed when the road is good and there is no traffic control. But my babe only gives 120 for a couple hours, then I need to take it down to 115 to keep the engine happy. If I was to change my current motorbike I would choose… Not sure, the bikes I fancy are much bigger than what I would go into the middle of nowhere with on my own. And I don’t want any company for now. So, I am riding exactly what I want to ride. My advice for choosing the best motorcycle for an expedition? Reliability. Every model has a weak point. Choose one with which you can deal with on your own or at least be well aware of it and do check-ups when possible. Ease to find spare parts. There is Chinese rubbish everywhere but I don’t think much of it because it has let me down a couple times. You’re better to check availability of original or Japanese made spare parts in the countries you are going to. It’s tricky, but possible. Also, if you know your bike’s weak points already, you may want to bring what’s needed with you. Make sure you can lift your bike if you fall down. Fuel economy. Sometimes mapped fuel stations aren’t there or closed long ago. You need to make sure you can make it to the next one. It doesn’t happen very often, but once may be enough. And, of course, are you comfortable to do the distance on it? The saddle is important, but if you really want THAT bike and you’re not sure of the saddle, you can deal with it by getting sheep skin or something. What’s really important is the position of your hands and wrists. If your wrists aren’t in a good position, you shoulders and back will notice it and soon all you’ll be thinking is pain, not how beautiful the road is. I’ve been traveling on a motorbike since school days back in the 1980’s. So far I’ve traveled on a motorbike through Africa, Europe, North and South America. Various reasons and purposes. BMW has a very good back up and service in while Suzuki is a great cheaper bike to use. In the end the Suzuki’s are the more basic and easily repairable and serviceable bike to use. I am on the side of the group that believe there is a bike for a purpose and we own different ones for different purposes. In and around South Africa and Southern Africa depending on the trip we will use the BMW 1200 GS or / and BMW HP 2. For local nice off-road trips we will use our Suzuki DRZ 400’s. The overall good average can do all is the DR 650’s and BMW 650 Dakar at the time. 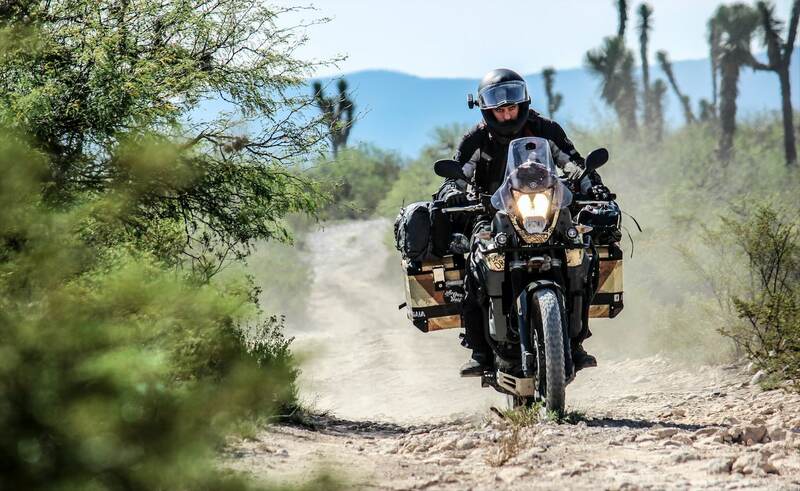 The BMW 650 Dakar is a good bike, but eventually too costly and heavy to use over long periods of overland for us. We have been using the Suzuki DR 650’s the last 4 years and they are good but also have some draw backs. What are pros and cons of Suzuki DR 650 in terms of long journeys? Easy to maintain and run with parts readily available in most countries. Loads of customising options to match a riders riding style and ergonomics. Oil cooled, no need for radiators and water pumps that get damage. Simple old school design and basic as a LandRover Series 1. Much less tools to carry with to do maintenance and repairs than our other bikes. Purchase price is affordable. Also if ever need to abandon a bike in a country for some reason it won't hurt the pocket too much. As for Carne and shipping the lightweight compact size allows for less freight cost. No Fuel Injection, yes I know some people still have nostalgic and romantic ideas about carburettors and that they can repair them in the bush. I hate carburettors and most of my issues ever with cars and bikes have been carb related. Never had a FI system failed me except for fuel pumps which is easy to replace and compact to carry a spare. Not to mention the benefits of Fi with self adjusting fueling at high altitudes. The DR650 is as slow as an Oxwagon at best and as underpowered as an overloaded Tuk-Tuk in India. Ergonomically it is not made for two up travel where the BMW 650 Dakar does a much better job. In standard form it need some minor additions and work to make it dualsport and travel ready. If I was to change my current motorbike I would choose… Husky 701, it is less than 200 kg weight with good suspension and Fi and a good reliable bike. Although it costs a bit to convert to overland travel form. Probably always the one you have plus a healthy dose of adventure spirit. 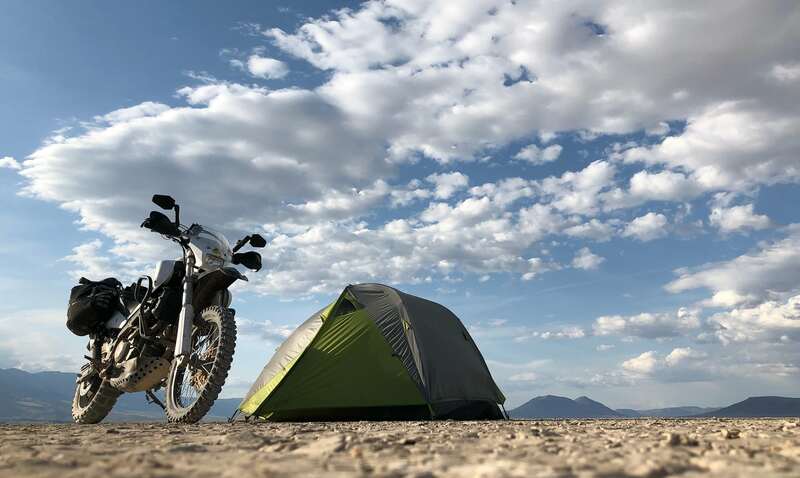 Basically any dual purpose bike but depending on the terrain some motorcycles perform better than others with regards to suspension, carrying ability, reliability and cost of repairs and parts. As example riding Africa off-road is a whole different ball game than Cape to Cairo on tar. Having to carry a pillion limits choices but needs careful consideration on type of roads and weight. Your budget for a bike. 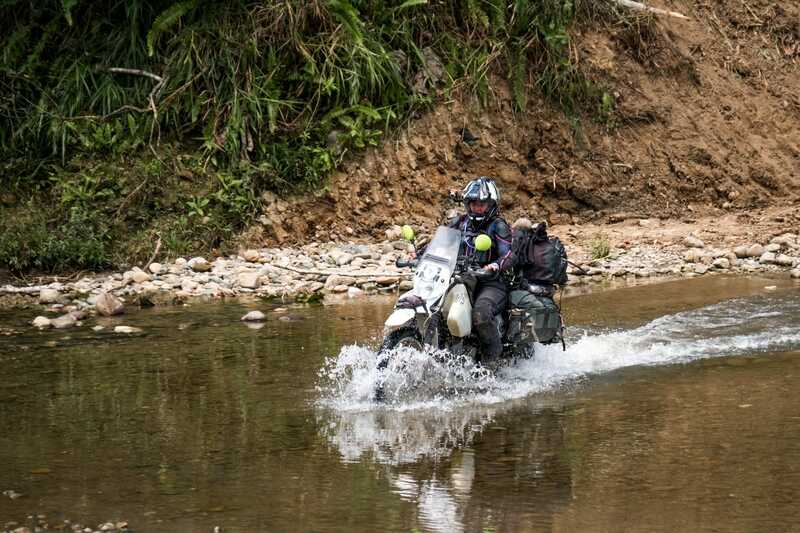 The route planning and what the motorbike can handle is very important. Maintenance, reliability, and cost of parts. Don’t let people convince you otherwise, weight and size does matter. Lighter & smaller = better. Even skilled riders struggle with a +200 kg bike loaded with 30-40 kg luggage in sand tracks and mud. Ask yourself if you would be prepared to walk away from a mega $ bike if something serious happens that you have to leave the bike in a country. Accidents or instances like in Peru where you donate the bike to the state for a day over your visa. Try and keep the ego in-check. Just wanting to look the part on the new BMW 1250 LC to impress people and hit the likes on Instagram is not a wise decision. It is your trip, your money, be sensible about the brand and bike. I’ve been traveling on a motorbike since Many times for 2 weeks in Europe but long term since April 2017 in South America. So far I’ve traveled on a motorbike through West Europe (France, Belgium, Luxembourg, Switzerland, Italy, Spain, Andorra, Portugal) and South America long term (Colombia, Ecuador, Peru and Bolivia so far). We will be travelling until mid 2019 in South America, then it’s home to top up the travel funds… we have Africa next on our list! They are simple machines, cheap to buy and very versatile. The parts are available in many places in South America and you do not need a computer to diagnose a problem. 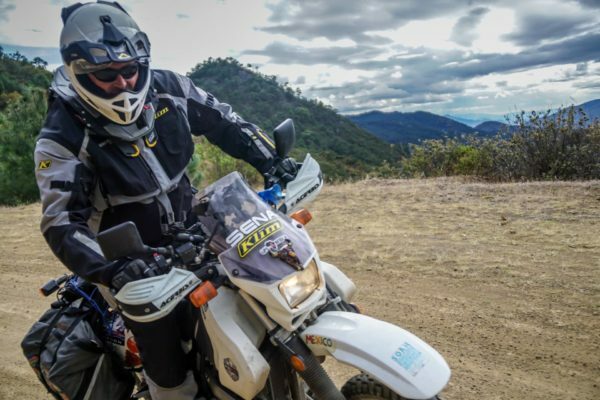 They are great for both on and off-road, which we have found to be particularly useful in South America, especially if you want to get off the beaten track. Also, I am 5 ft 5″ and I am able to get my feet on the floor with a lowered seat concepts seat, which for me is important for confidence. Great fun to ride and off-road routes are no issue. Parts available in a lot of places. Easy options for lowering for the shorter rider. If you don't know the bike's history and it's old you may get a lot of issues, like me. If you are from the UK you cannot buy a new DR650 (not imported for sale since around 1996) and parts are harder to get than in other countries with lots of DR's like the Americas, Australia etc. If I was to change my current motorbike I would choose… Yamaha WR 250 R lowered and adventurised or another (newer) DR 650 SE. The WR 250 is lighter and also has generally good reliability. Choose what YOU like and are happy to ride. Just because everyone tells you to buy a particular brand / model doesn’t mean it will suit you. We decided we wanted the same bike and Kelvin was happy to go with what I chose as I am smaller in general size and shorter than the average rider, so had fewer options. I bought a cheap DR 650 and took it on a test ride to Italy and loved it. I felt I needed to know what it was really like to ride for several days all loaded up. I loved it and the decision was made. It will obviously make a difference as to which countries you are riding in and what sort of terrain you want or will have to ride. Availability of spares is another consideration and ease of working on the bike you are considering taking on the trip. The easier and simpler the better especially if you want to really get off the beaten track. I’ve been traveling on a motorbike since 1998 at the age of 16. I had a mentor who taught me about mechanics and gave me a ‘76 Honda XL 100 that I fixed up. 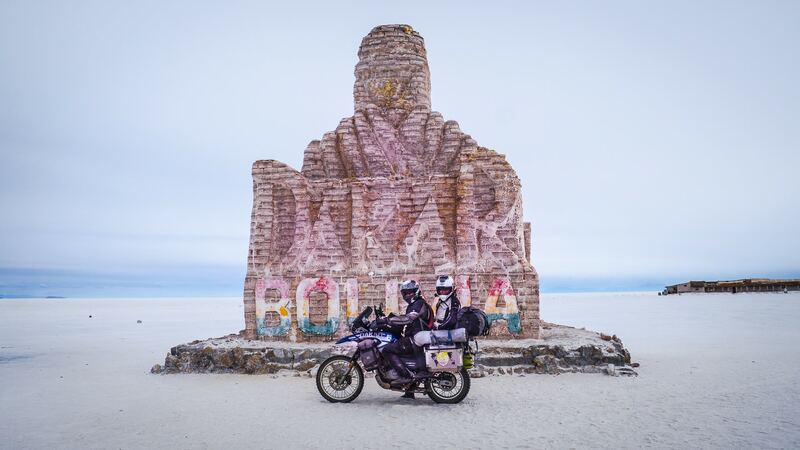 So far I’ve traveled on a motorbike …My current goal is to finish all of the Backcountry Discovery Routes (BDR’s) in one summer, a feat that has yet to been done. I’m 75% of the way through and expect to be finished by the end of July. This winter, I biked across India, starting in Kerala in the south and ending in the Himalayas up north. 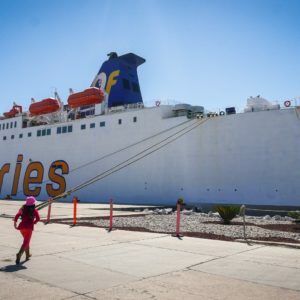 My first big trip was over 36,000 miles and took me to four corners of North America: the Florida Keys; Nova Scotia; Prudhoe Bay, Alaska; and Baja. I’ve also ridden in all 50 U.S. states and did trips in Mexico, Canada, and Spain. In 2008, I did a national trials circuit for AHRMA and actually towed my trials bike behind my Suzuki V-Strom, camping along the way. For my journeys I’ve chosen a motorbike: Suzuki V-Strom 650 (2005), but the frame and motor are the only unmodified parts of the bike. This is the seventh V-Strom I’ve owned and the third that I’ve highly modified to fit my needs. My V-Strom weighs 415 pounds, which is nearly 100 pounds lighter than most other V-Storms. I’ve modified YZF front forks to fit, custom Wilbers shock, and the suspension makes the bike sits 3 inches taller than it did originally. I ride the Suzuki V-Strom largely for the engine; it’s got 65 horsepower and still gets 55 m.p.g. with a 6 gallon fuel tank. The motors are usually good for 150,000 miles, which is a lot more than a typical dirt bike. What are pros and cons of Suzuki V-Strom 650 in terms of long journeys? Runs on 87 octane fuel. If I was to change my current motorbike I would choose… I’d love to ride the new Yamaha Ténéré 700. It’s got a street bike engine in a dirt bike chassis. It’s not too heavy and not too light, it’s the perfect balance in my opinion. First of all, dependability is vital. Secondly, I’d suggest choosing a bike that fits you. Whatever you’re comfortable with will work as long as it’s dependable. I’ve seen Harleys in Alaska and street bikes in Mexico, it really doesn’t matter as long as it’s dependable and you’re happy on it. I’ve been traveling on a motorbike since 2005. So far I’ve traveled on a motorbike almost all Asia (including Bhutan, Afganistan, Kyrgyzstan, Tajikistan, India), all South America and vast part of Europe. For my journeys I’ve chosen a motorbike: I use KTM 690 Enduro (2009) or Suzuki DRZ 400 (2005), depending where I go. I will focus on KTM here. KTM 690 Enduro is a very brave off-road motorbike. But also pretty comfortable on-road, asphalt riding, if necessary. During my travel I focus on off-road riding, but from time to time it is necessary and can’t be avoided riding the paved sections. 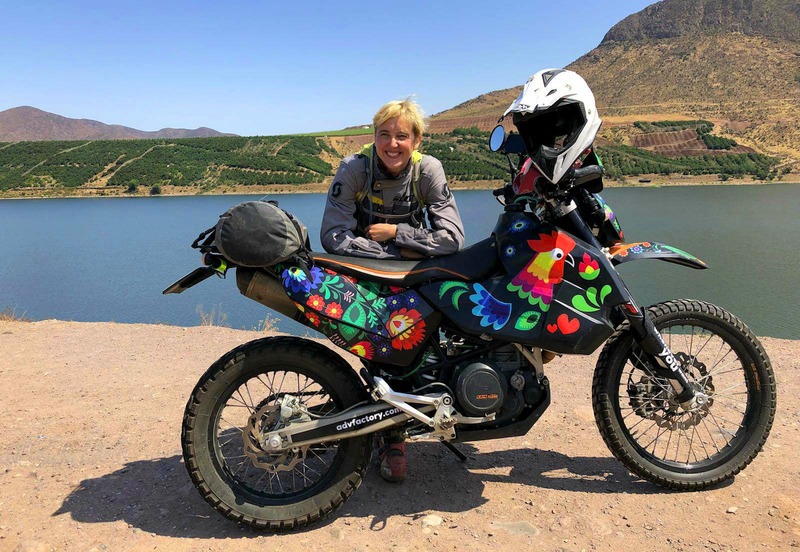 There are many accessories available on the market for this motorbike, including the big fuel tank, which is absolutely necessary for the purpose of the longer trips. The standard fuel tank is not enough. It’s already well known what are the weak points of this bike and how to fix / improve it and therefore prepare the bike in a good, appropriate way for the trip. You can also pack enough luggage on the bike and it’s still pleasant to ride it. If you are a skilled rider you can reach very remote, off-the-beaten track places on this bike. What are pros and cons of KTM 690 Enduro in terms of long journeys? Very brave bike, can reach the most remote places and handle hard off-road conditions. Being designed as off-road bike it is stil comfortable enough on the asphalt sections, which provides for the best compromise if you plan complex and diversified trip. It's a light bike what can be very meaningful especially for women riders. Side stand system: if side stand sensor breaks you can't start riding. It's better to disconnect it at all. Small standard fuel tank: the range is really not enough for longer trips. If I was to change my current motorbike I would choose… Luckily I don’t have to change, as I am able to switch between KTM 690 Enduro and Suzuki DRZ 400. Sometimes I also ride Suzuki DR 650. I don’t think about any changes so far. These bikes allow me to reach all the places I’m interested in and are straightforward enough to be fixed everywhere. First answer yourself the question what kind of places you want to reach, and what kind of roads you want to ride and in which part of the world (civilized or not). Depending on the answer, choose the more off-road, simpler bike or comfortable on-road bike. Think also about such factors like weight of the bike and its range. And if you ride alone or have companion who can help you in case of troubles. I’ve been traveling on a motorbike since 2017. So far I’ve traveled on a motorbike from Chicago, IL to Bogota Colombia. We are traveling 2 up, and fully loaded. The KTM has both the capabilities of riding in comfort on the street, and is able to take us off road as well. What are pros and cons of KTM 1190 Adventure in terms of long journeys? Easily maintainable. No major issues have risen in the 4 years and 50 K miles I have owned it. With the right tires, it has taken us down some back roads that were truly challenging, but the bike pushes through like a champion. It is heavy, as are all large adventure class motorcycles, but when it does tip over, I am glad there are two of us to get it back upright. The stock airbox is not "Adventure" ready. I upgraded the trumpets to the Power Cell foam filters to be sure no dirt or dust would make its way into the engine. 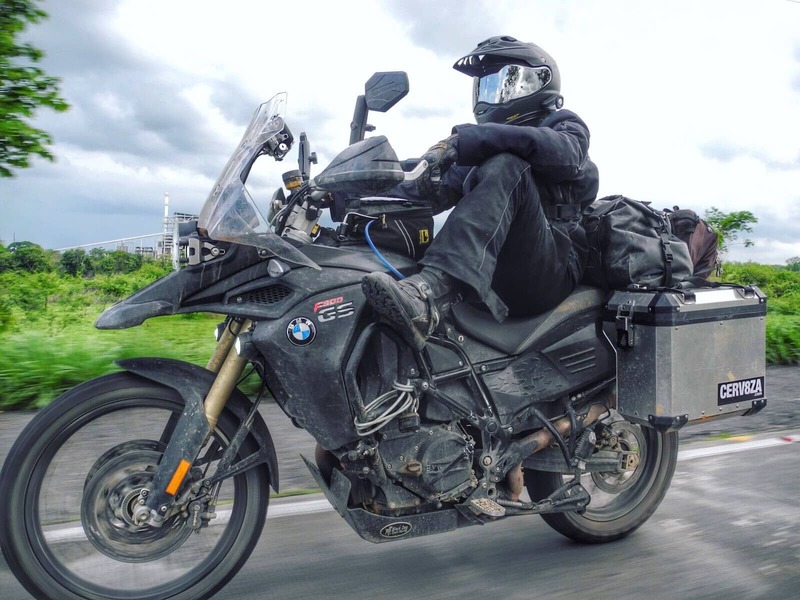 If I was to change my current motorbike I would choose… If I were traveling the world by myself, I may change my current motorbike to a BMW F 800, or even a Suzuki DR 650 because they are so much smaller, and lighter. Test ride all of your available options, multiple times. Realize your bike will most likely fall over, so be sure you are able to pick it back up. But overall, I don’t believe you can chose a wrong motorcycle, people have traveled the world on BMW 1200 GSAs, barely modified Triumph Cruisers, 90 cc scooters, and everything in-between. As long as you are out there doing it, you have chosen well. I’ve been traveling on a motorbike since 2016. So far I’ve traveled on a motorbike Mexico, Central America (all), South America (Colombia, Ecuador, Peru, Bolivia, Argentina, Chile). This was to be not only my first motorcycle but also my first extended motorcycle trip. I am also fairly short at around 5’5” and 125 lbs. Because of this I wanted something small, yet light weight. I knew I also wanted something basic and simple to repair on the road so going with a single cylinder bike was key. What are pros and cons of Yamaha XT 225 in terms of long journeys? Light-weight, easy to handle, handles off-road like a champ. It was also great in cities for squeezing in small places, traffic, houses, back of taxi's, etc. Common bike to find parts for in Latin America. The tire sizes were easy and the bike, and related parts, did exist in most places. The only part I couldn't find was an oil pump in La, Paz, Bolivia. There was some slight difference in parts for the Brazilian made model vs. Japan (i.e. the sprocket thread posts). Generic Japanese parts were fairly available. Cheap to maintain and run with very accessible components. Has tappit valvess, easy oil changes, easy to reach air filter and spark plug, etc. Good fuel economy at around mid 60s loaded, low 70s unloaded. Air-cooled and carb. Low top end speed. While it does have a 6th gear, which is great, the top end speed is low. To be honest this was not a problem for most of Mexico, Central, and South America until I reached the big highways and long distances of Argentina and Chile. Kind of a fickle carburetor. When we rode with others on KLRs they barely changed jets. For the XT once in Ecuador, Peru, and Bolivia I really had to dial the carb in by swapping main jets for the altitude. It isn't terribly difficult but often a pain when moving up in down in altitude a lot. I really only changed it when I knew I would be at a certain altitude for weeks at a time. It was more just frustrating to loose power when going up and down over mountain ranges one day to another. Lightweight. This is a blessing and a curse. It was a curse in Patagonian winds. If I was to change my current motorbike I would choose… Honda CRF 250L because I think at this point I still like the idea of an ultra-lightweight adventure bike. The small and light size has advantages off-road, and in cities. The parts are typically cheaper, and frankly it is just a joy to handle for a such a long-term adventure. No fighting heavy pigs on curvy, dirt or single track, in traffic, etc. I would try to get something more modern with longer service intervals. Don’t listen to what others say about having something big or fancy. Go with what you think and feels comfortable and right! The little XT handled everything I threw at it and was a great bike. I did begin to have some motorcycle issues and rebuilds towards the end of my trip, but at least they were cheap (about the same price as a rear F800 tire). 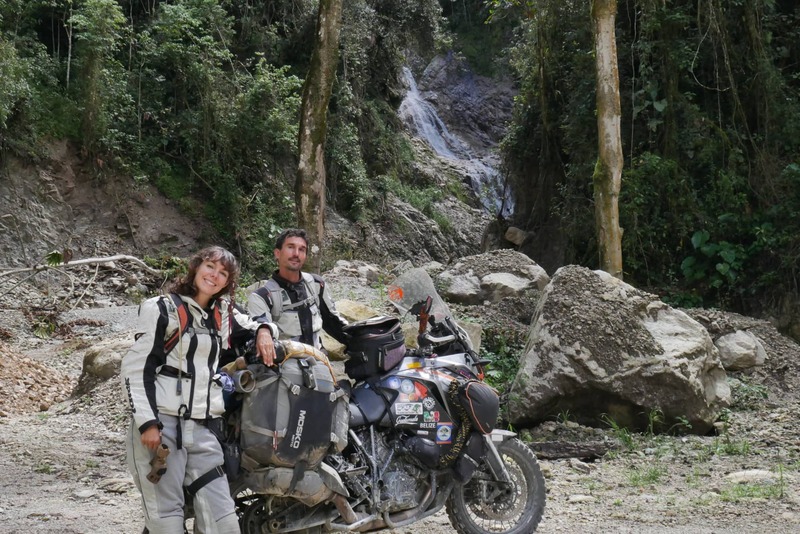 So far we’ve traveled on a motorbike 65 countries on 5 different continents. Basically it was within our budget. We didn’t have much idea about it when we went to buy a motorcycle, we just knew we wanted to travel the world on two wheels. What are pros and cons of Yamaha Tenere XT660Z in terms of long journeys? Big tank with good consume autonomy: covering long distances with a single tank and reducing fuel expenses. 100% mechanical, specially if you breakdown in some remote regions like deserts or mountains. It's high what is very good for me as I'm 1.90 m tall. Considering that we're 2 guys with around 60 kg of equipment I should not complain, but I can say that sometimes I'd gladly get a bit more horse power. 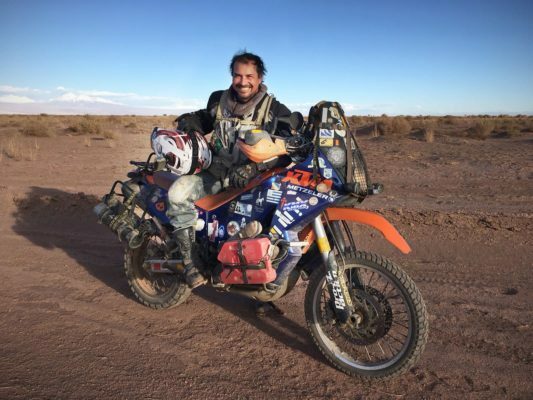 If I was to change my current motorbike I would choose… After 4 years riding with this bike and covering 168.000 km around the world with no major problems I don’t see a reason to change it. I’d rather prefer to make a brake from motorbikes, keep traveling for a while in a 4×4 camper van and after few years get back to the old good times with our Tenere again. First meet yourself, know what are your passions, what kind of journey you want to have, what type of routes you want to ride and which places you want to visit then you will know what bike you are going to need. 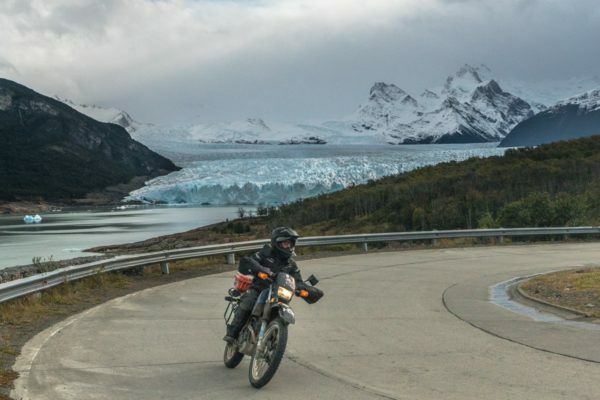 So far I’ve traveled on a motorbike from my home town of Santa Cruz, California down to Ushuaia, Argentina. I have always opted for dirt roads and trails rather than pavement. I am currently doing the Continental Divide Trail in the United States that is roughly 5000 kilometers long and mostly dirt. I can’t really say that I chose it , it is more that it chose me! I had a list of motorcycles that I was considering for the ride including a Yamaha DR 650, Honda Africa Twin, and a bigger BMW. My criteria for a motorcycle was primarily dependability, my ability to fix it if I needed to and accessibility to parts if need be. A friend of a friend had this Kawasaki for sale so I decided to test drive it. This stock KLR was the first motorcycle I checked out. After telling the owner my intentions with the motorcycle, he insisted that I buy it, use it for the trip and would not take no for an answer! The owner is a tech guy and bought it new to ride around his property but dropped it as it was a little too big for him. So he was ready to pass it on. I kept telling him that I wanted to try other bikes before I made a decision but he kept lowering the price and eventually literally started pushing the motorcycle onto my truck! I buckled and bought the Kawasaki for $4000 USD with less than 1000 kilometers. It was basically brand new. So based on my experience I felt like this was a good choice for long adventure riding solely because it got me to my destinations without ever once leaving me stranded. That says a lot. The KLR and I have done over 40,000 kilometers together and it has never broke down or stop running. What are pros and cons of Kawasaki KLR 650 in terms of long journeys? It does not have any electronics or fuel injection and highly praised by locals in Central and South America for these attributes. It comes stock with a 23 liter tank. Being that I only paid 4000 dollars for it, I was not as worried about it being stolen as if I would be if i was riding on a 24,000 dollar BMW. It also allowed me to take more chances on the dirt that I normally would not do on a more expensive motorcycle. The access to parts in Central and South America as well as the fact that most motorcycle mechanics have worked on these at one point and are familiar with them. It needs some work prior to a long trip. There are a couple of mods that need to happen for motorcycle touring. I added the "doo-hicky mod" ( replacing the timing chain tensioner) and the "sub frame mod" ( replacing the bolts to the rear frame which includes drilling through the main frame). Both were relatively easy to moderate jobs but necessary. Since there is no fuel injection, one should know how to tune a carburetor especially with the altitude differences that one might encounter. I feel this motorcycle sits high and would be difficult for a smaller person to manage. If I was to change my current motorbike I would choose… Honda Sport Africa Twin. It looks comfortable, capable and has the Honda stamp of dependability. Choosing one that gets you there and home, while having fun, without breaking the bank! Please feel free to contact me through my Instagram page with any questions about the KLR, riding through Central and South America or whatever! Ride safe, get out of your comfort zone, and push yourself. We’ve been traveling on a motorbike since 2016, our current trip around the world started in 2017. So far we’ve traveled on a motorbike through Europe and South America. It can get heavy loaded, is reliable and not too expensive. 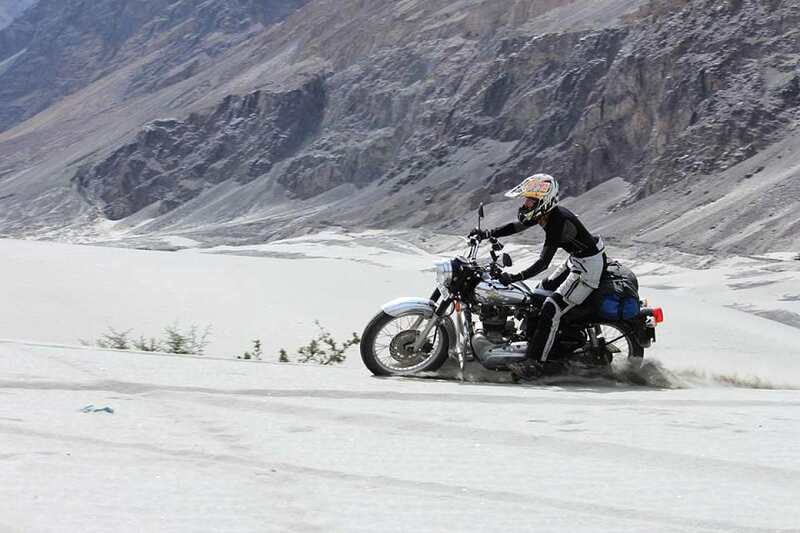 What are pros and cons of Triumph Tiger 885i t709 in terms of long journeys? Very comfortable for pillion and rider. Can be loaded with lots of weight. Not widespread, so it can be hard to get spare and accessory parts. 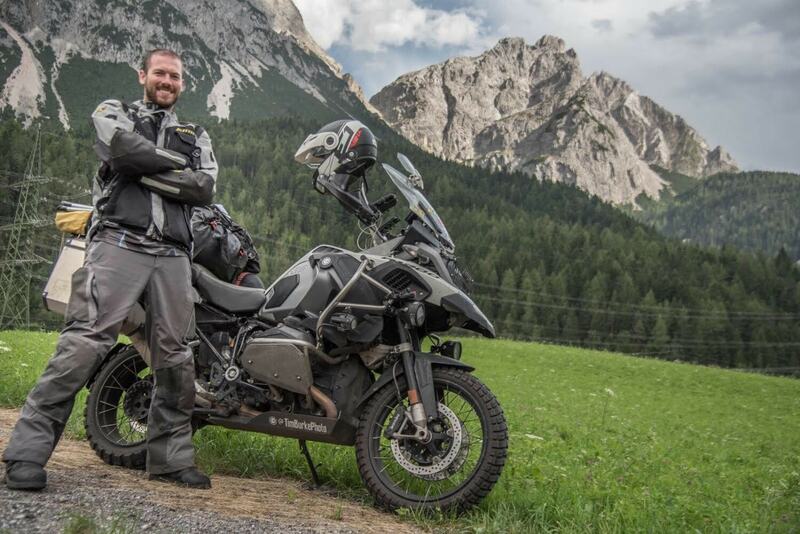 If I was to change my current motorbike I would choose… BMW F 800 GS because it’s easier to find spare parts and accessories and it’s less heavy. There is no perfect bike. The best bike is the one you like to ride. I’ve been traveling on a motorbike since I was 19 years old, so 24 years total riding experience. So far I’ve traveled on a motorbike through Wahsington State and across Americas: from the USA to Ushuaia. My process of selection initially consisted of having the baddest, most off-road capable adventure bike but after reading stories of other adventure riders and seeing all the different types of non-typical ADV bikes that were taken, I changed my criteria to take something more unique and maybe something that hasn’t been ridden on such a journey. A few month before I was set to leave and after having done all the prep on my BMW F800gs, I saw and fell in love with an Italian beauty. That was the start of a beautiful relationship and the choice was clear, I was taking the Stornello. I knew very little about Moto Guzzi other than that they have been around for a while so I believed that the reliability was there. Other than that, the main reason for taking the MG was to have a different style of touring. I wanted more of an old school look and feel something more aligned with Ted Simmon in Jupiter’s travel or dare I say, have the style of Steve McQueen. This bike met all that. After having ridden 22k miles on the MG Stornello, I couldn’t be happier with my choice. I traveled through the deepest sandiest roads in Baja Mexico, cut through the heat and humidity of central America and endured the thin cold air of the high mountain passes of south America. All with no issues to speak off in terms of reliability and durability of the bike. What are pros and cons of Moto Guzzi V 7 II Stornello in terms of long journeys? Simple bike with not a lot of electronics. Large fuel tank 22 liters. Smaller and lighter than most ADV bikes. Easy access for Valve check / adjustments. Blends in a little better with the local bikes because of its size. 750 cc in a small package. Limited options for aftermarket parts. Very few to no dealer support in South America. 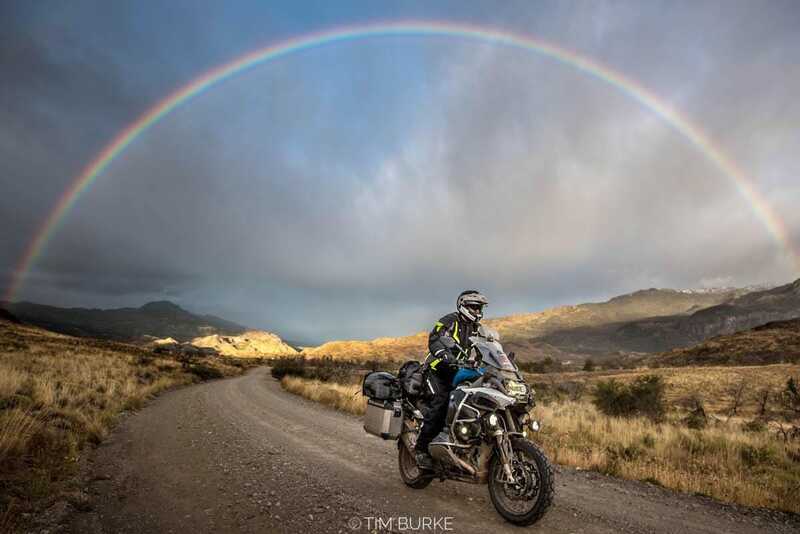 If I was to change my current motorbike I would choose… If I were to do the trip again I wouldn’t change my bike choice but if I had to, I would go with the BMW F 800 GS.I choose the BMW because I have experience with it and was actually the bike that I was going to take to South America. After 30 K miles, my bike is still going reliably strong. I like for its greater off road capabilities and better comfort on long days. 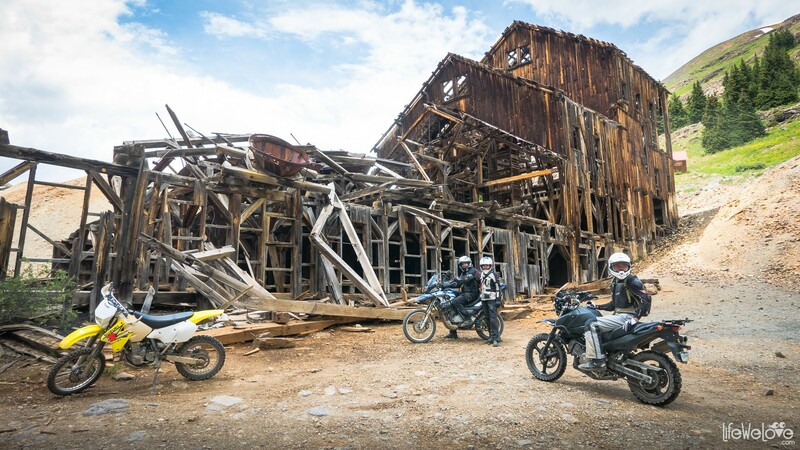 My advice for choosing the best motorcycle for an expedition is take what you have or can afford and just go. 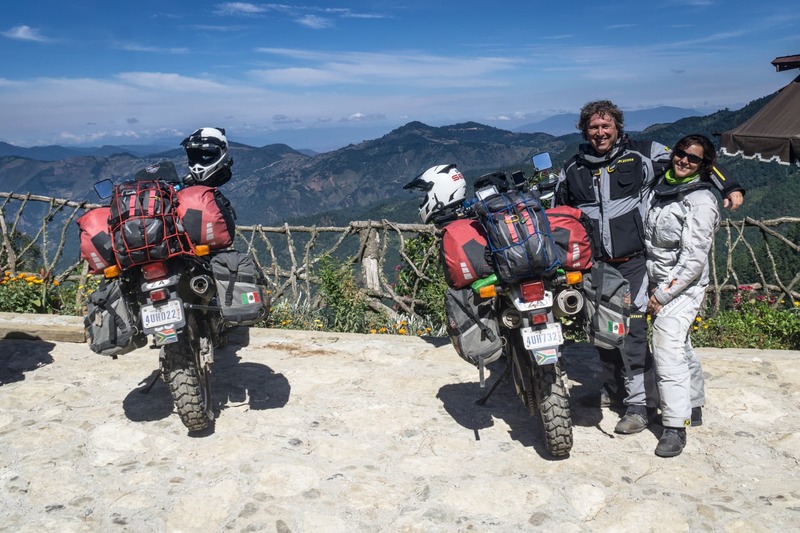 Though my Moto Guzzi performed flawlessly, any issues or breakdowns are just another opportunity for a real adventure which is when you are more likely to experience the kindness of people. Remember the adventure is not in the bike but in the person. I’ve been traveling on a motorbike since 2011. So far I’ve traveled on a motorbike through Asia, Europe (2011), South, Central, North America (2017-2018). SYM is cheap and strong. Royal Enfield – beautiful and strong. What are pros and cons of Royal Enfield Classic 500 in terms of long journeys? Strong and simple, so I have no troubles. Heavy vibrations and so windy... I like this. If I was to change my current motorbike I would choose… BSA or Kawasaki classic style. Why? I don’t like modern style… New models are kind of computer… which has 2 wheels… I don’t like plastic. These are not motorcycles for me. They are just vehicles not motorcycles. I’ve been traveling on a motorbike since my academic times, I started riding motorcycles while attending University. I borrowed one from a friend. So far I’ve traveled on a motorbike across Americas. My most significant ride was from the tip of South America (Ushuaia, Argentina) back to the United States (specifically Kansas City). The trip took 2 months and 4 days and was just over 13,000 miles (about 21,000 km). We later rode up to the Arctic Circle in Alaska just so we could say we’ve ridden from the one end of the globe to the other. The South / Central America trip was very hard and challenging. We did that trip as a charitable fundraiser and raised a half million dollars for student scholarships and a global medical relief agency. The trip to the Arctic circle was a beautiful and pleasurable ride which I enjoyed very much. I’m a Harley Davidson fan. It had to be a Harley Davidson and I wanted the best one you could get for the trip. It needed to be a big bike which was sturdy and could handle many miles off-pavement. 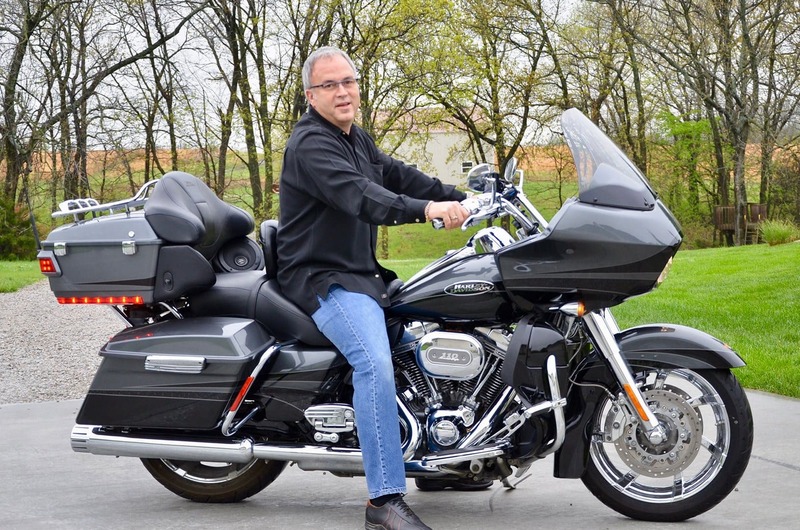 What are pros and cons of Harley-Davidson CVO Road Glide Ultra in terms of long journeys? Plenty of storage space comes standard on the bike. Great technology to interface with my mobile devices and communications headset. Great audio system mounted in a fixed fairing and it sounds fabulous while moving. CVO uses larger tubing on much of the frame making it capable of withstanding rough road conditions. It’s a big machine which makes it heavy to lift without the right tools. Not the best for fuel efficiency. I had to upgrade the shield for better wind reduction. Brakes tend to wear out quickly when riding many miles in steep terrain. If I was to change my current motorbike I would choose… a BMW. I hear great things about them and they look great. Go as big as you can, and by big I mean sturdy and well built for rugged conditions. I’ve been traveling on a motorbike since… for several years. I bought my current bike in 2015 and have owned several before this. 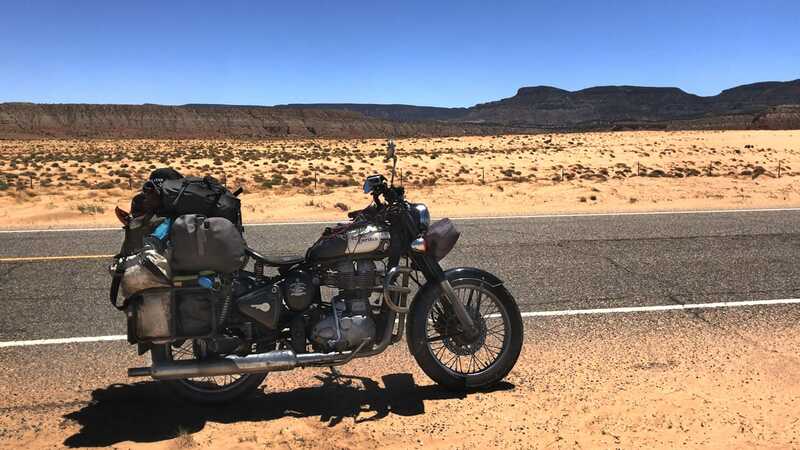 So far I’ve traveled on a motorbike throughout the four corners of the United States and from there all the way through Central America and down to the southern tip of South America. A total of 45,000 miles thus far on the current bike. For me this was the perfect bike for the riding I wanted to do and the places that I wanted to visit. I wanted a reliable machine that would not leave me stranded in an area far from service departments. The bike was purchased brand new and I have been doing all of the maintenance myself. Some bikes are a bit more complicated with electronic systems but this one was fairly simple. I only had one break down which was just a loose ground wire on the battery. A quick and easy fix. Having fuel injection was a requirement for me because I did not want to be swapping carburetor jets for elevation changes. All bikes will feel sluggish at extreme altitudes but the injection gave me peace of mind that my bike would not be running too rich or too lean. The extra fuel capacity of the 800 Adventure is why I chose this one over the standard model. It is a large and heavy bike but this was not an issue for 95% of the terrain I would encounter. The 800 Adventure is very comfortable and comes with many standard items that are commonly added to motorbikes for long distance travel. 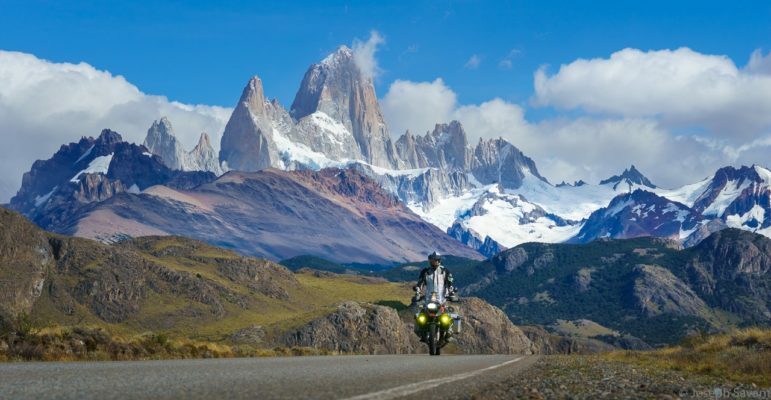 What are pros and cons of BMW 800 GS Adventure in terms of long journeys? Maintenance items are more expensive than other brands. If I was to change my current motorbike I would choose… For doing this trip again I would happily choose the same bike. I would only change the gear I brought and try to keep everything lighter next time. The bike was flawless however the bulky and heavy items caused me to struggle in the most difficult of trails. My riding skills fell far short of this bike’s abilities. When choosing a bike for your adventure pick the one that you are comfortable with. Ride many different models and choose the one that feels the best to you. Riding skills can be acquired but there are few options for making motorbikes more confidence inspiring. Get a bike you love and want to take care of. I love my bike so much I gave her a name and would carefully look after her as though she was my only companion on the road. You will find yourself with the choice to proceed down an alternate and more difficult path to an incredible destination. When this happens your choice of bike should not be the deciding factor on whether or not you decline. A comfortable rider is a safe rider. Ride safe and far. I’ve been traveling on a motorbike since 2006. So far I’ve traveled on a motorbike the USA, Canada, Mexico, Central and South America. Fits my physical size, has the ability to carry gear and a passenger easily, has a large gas tank, has some off-road capabilities. What are pros and cons of BMW R 1200 GS Adventure in terms of long journeys? Comfortable for long periods and distances. Carries gear and passenger easily. Large gas tank, fuel injection, lots of power. Reasonably capable off-road with skilled rider. If I was to change my current motorbike I would choose… I would consider either the BMW F 800 GS A or the new 1000 cc Honda Africa Twin Adventure Sport. I heard few complaints of repairs or failures with most of the F 800’s in my travels. The new Africa Twin series has been similar. The choice for the “Adventure” versions of either would be for the larger gas tank and I am tall so those versions fit me well. Define as clearly as possible what terrain you will “mainly” ride. Multiple countries will have many types of terrain and roads so factor that in. Solo? Passenger? Camp gear? Remote dirt roads? If you want to do a lot of off-road, obviously weight your decision towards a bike suited for that. If you need to cover a lot of miles on better roads, then a larger and heavier bike can be chosen. Any decision will be a compromise, just be realistic in your choice and riding skills. There are more factors on a long trip than imagined, such as rider comfort, fatigue, handling and more. Again, be realistic about how much you carry and what style riding you do. Any bike will be a compromise – a small thumper will still have to do long stretches of concrete highways. A big bike will still face mud, rocks and sand on some roads. There isn’t a perfect bike so choose for the greater percentage of what you will face. Choose the lightest and most reliable bike possible that safely accommodates your needs. Less weight is easier to ride in bad terrain and to pick up when dropped. That said, a smaller bike that is overloaded with gear will be dangerous and handle poorly, and when dropped will have to be unloaded to lift. Be harsh in reducing your load and realistic about your body weight and gear in your motorcycle choices. Based on my travels, I personally think a lightly-loaded 800 cc, chain-driven motorcycle with off-road capabilities is a good compromise for all the situations one encounters. It may not be the best at any one thing – a little heavy off-road, a little light and “vibey” for highway, but overall a decent compromise of power, weight, size and capability. I’ve been traveling on a motorbike since since I was 10, but I’ve been on the road, “full-time,” for about 1.5 years. So far I’ve traveled on a motorbike throughout Europe, Morocco, North, Central and South America. It was just the bike that I happened to own at the time that I quit my job to travel. I’d happily ride anything with two wheels if I trusted it’s reliability. I don’t believe there’s a “right” bike for the job. We all have different styles and different ambitions in what we’re seeking from “the experience” and different motorcycles will accomplish those differently. Parts can be difficult to obtain. If I was to change my current motorbike I would choose… any Japanese manufacturer: Suzuki, Kawasaki, Honda, Yamaha. I feel that these companies are still focused on the basics of simplicity. 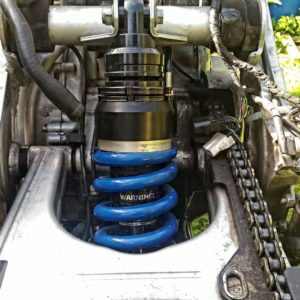 They haven’t yet been “distracted” by the complications of electronic suspension, for example, that when breaks, is prohibitively expensive to replace. They are simply building purpose built machines. Choose a reliable machine that’s easy to fix and inexpensive to maintain. Comfort is a big deal. Sit on different motorcycles and imagine yourself on it for months, day in and day out. Learn about machine: where is the fuel filter? Air filter? The fuses? Are they easy to get to or is it a machine that will take a PhD in astrophysicists to wrench on? These are all things that will matter to you when things go “less than perfect” in the middle of the Atacama desert. 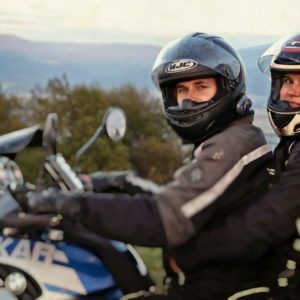 We’ve been traveling on a motorbike since 2012 (before that we were riding an Italian Piaggio Sphera 180 scooter and believed we would travel the world on it ;P ). 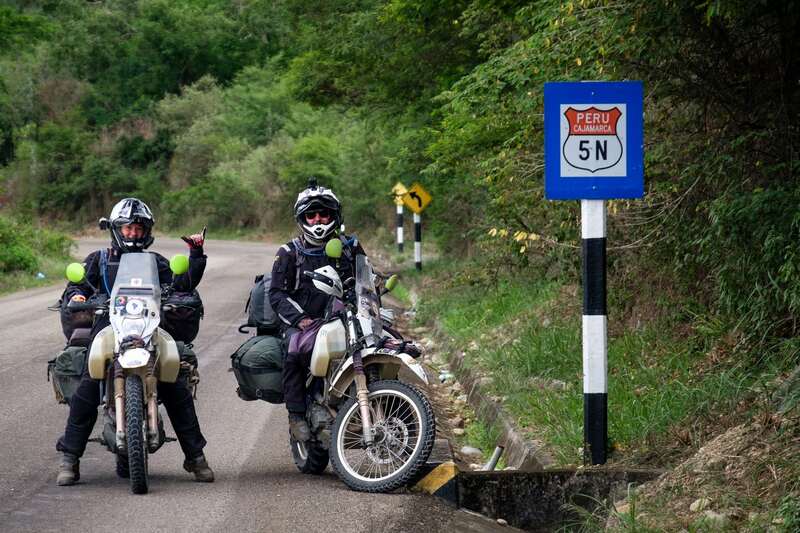 So far we’ve traveled on a motorbike throughout Europe, North, Central and South America. 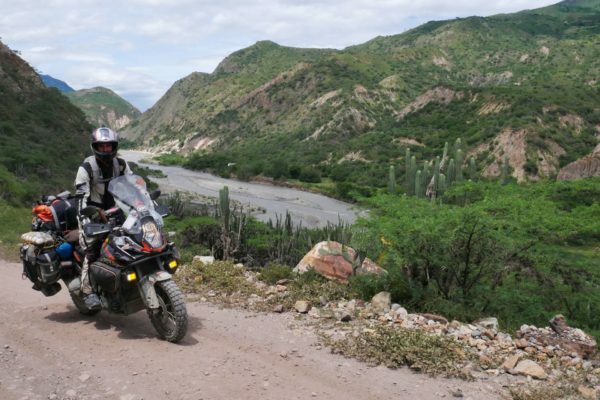 Although our previous motorbike BMW F650 GS was dual-sport as well, after riding the Dakar we could feel the difference. The Dakar, with its higher suspension and the 21-inch front wheel, performs much better in off-road. In addition, this motorcycle is powered by a single-cylinder Rotax 650 engine, which is unbreakable. 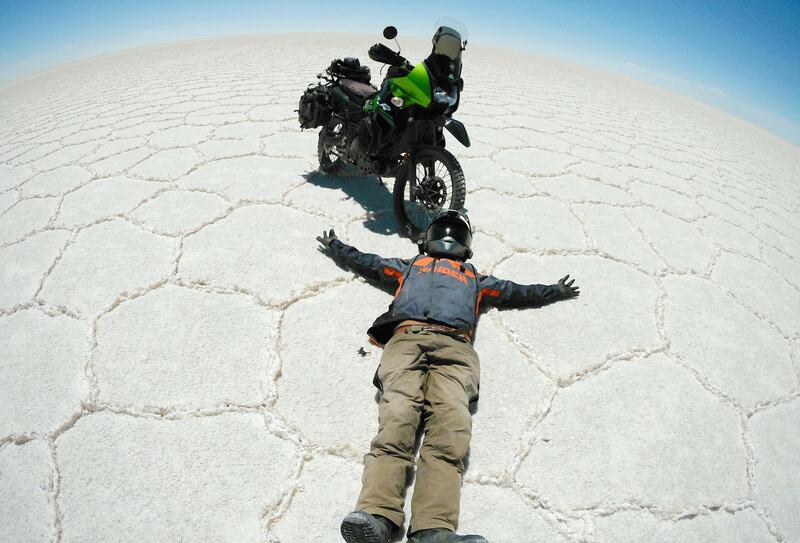 We consider it to be one of the key aspects when choosing a motorcycle for longer trips. One riding season is enough to get to know the motorbike enough to be able to fix some defects or prepare it for a long expedition on your own. Another advantage is low fuel consumption and low weight. The average fuel consumption is 4 liters for every 100 km ride with two up and heavy baggage. In combination with a 17.3 liter fuel tank, the range is around 400 km. 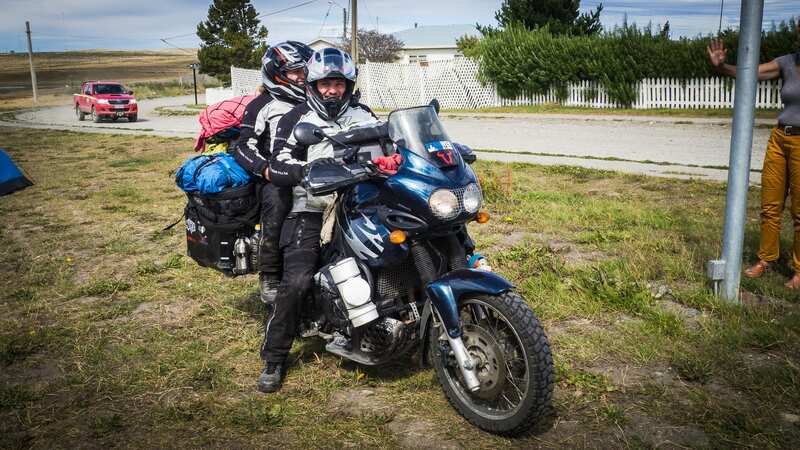 Its rich equipment proves to be a big support during the journey: heated grips often saved Joki’s hands from freezing, and the ABS system saved our butts from slipping over. 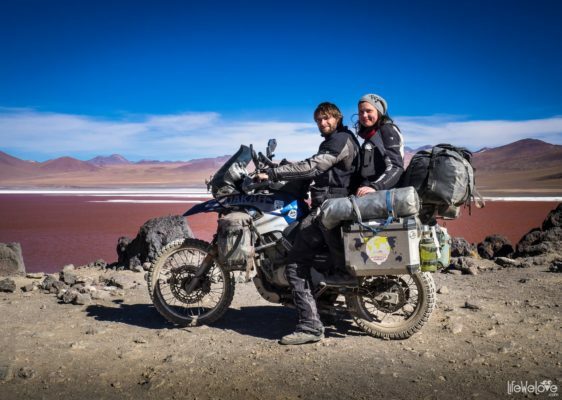 The bike is fuel injected so we didn’t have any problems at high altitude, even above 5,000 m a. s. l.
For our transcontinental journey we've chosen BMW F 650 GS Dakar and it's been doing well! 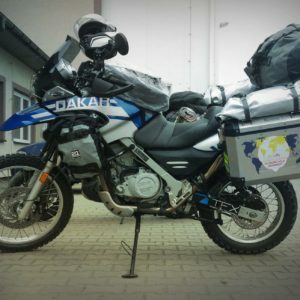 What are pros and cons of BMW F 650 GS Dakar in terms of long journeys? Good on asphalt and off-road. Easy to learn to work on. Not too heavy even when fully loaded. Water pump is a weak point and has to be changed in approx. every 50 K km. Front suspension is not the best. Visits in BMW salons for new parts are always painful for our wallets. Sometimes when overtaking we wish it had more power than 50 hp. A lot of unscrewing to change the oil or refill the coolant. If we were to change our current motorbike we would choose... we wouldn’t change it for now. 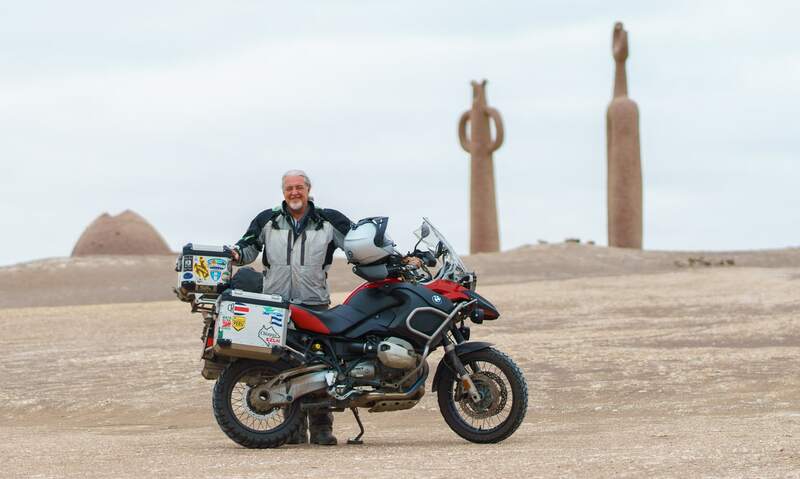 We’ve made 80 K km on our BMW F 650 GS Dakar and it’s been doing well in our journey across Americas. It’s an optimal choice for our needs and budget. 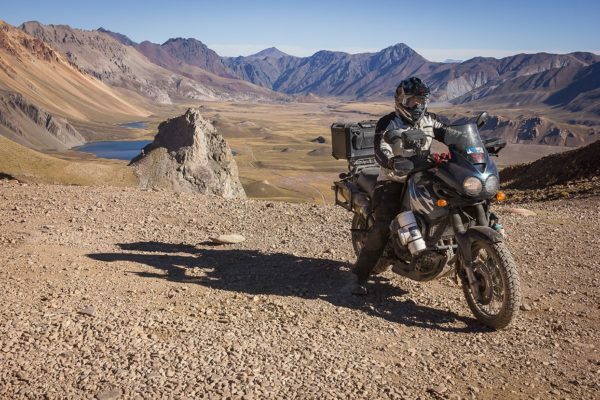 Our advice for choosing the best motorcycle for an expedition? 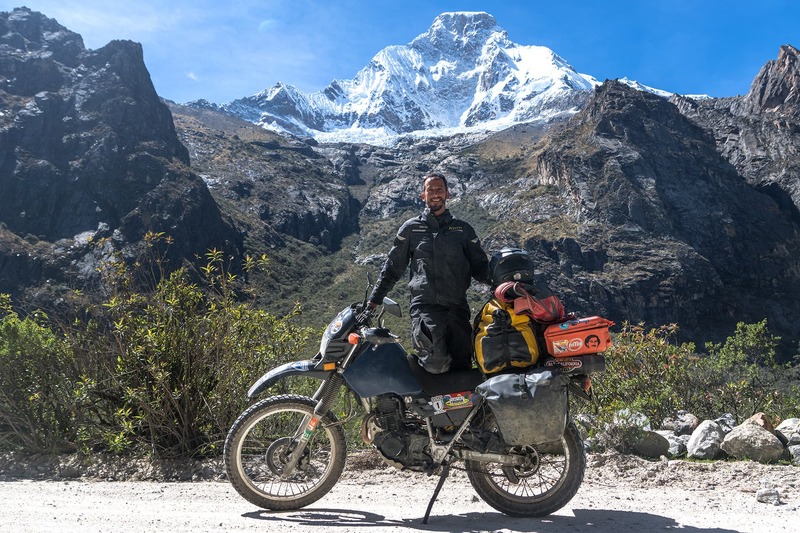 Find a motorbike comfortable for you, reliable, easy to fix and adjusted to your needs and skills (although those you will get most of all while traveling :) ). Ready for a test ride?! Looking at the all above tips we think it’s pretty clear that the final decision you’ll make only after riding and testing the bikes that meet your initial criteria. We hope the above interviews give you a better idea of what to expect from different popular models chosen by fellow adventure riders. If you have more questions, don’t hesitate to comment below or contact the bikers directly. If you travel on a motorbike that hasn’t been described above and you believe it should be, contact us and we will be glad to add your opinion.